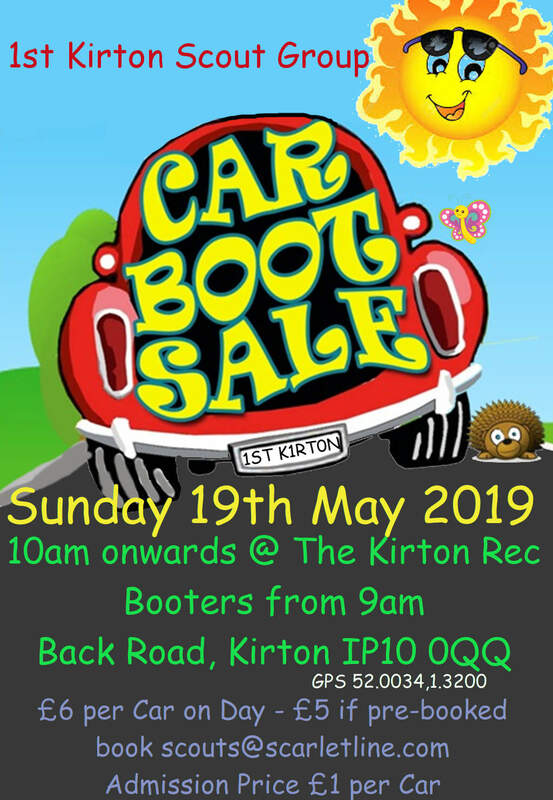 1st Kirton – What’s on? 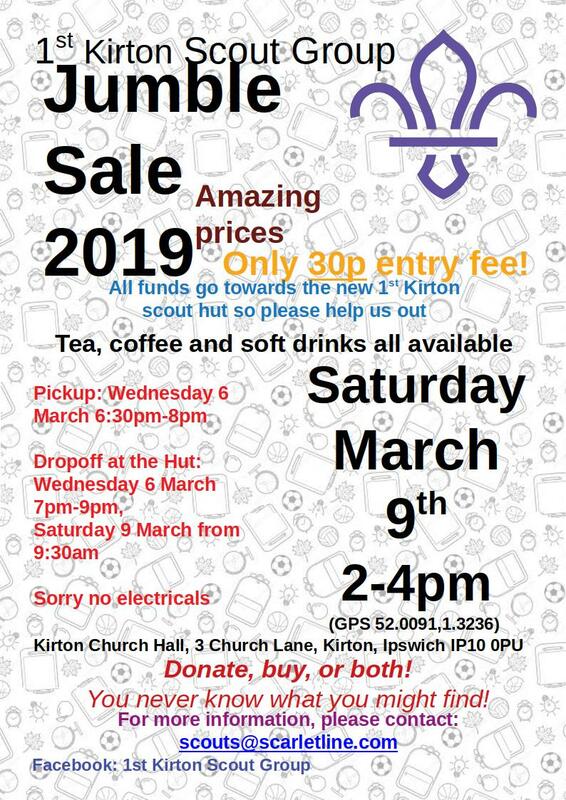 Car Boot Sale to raise money to build our Scout Hut. 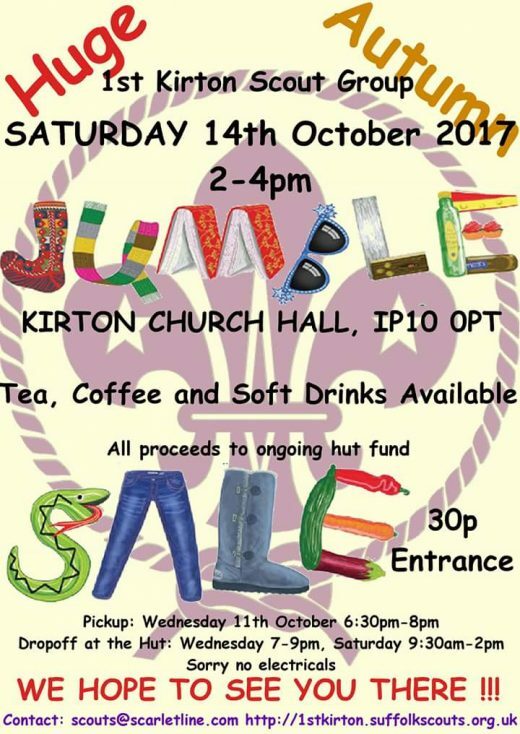 There will be refreshments and toilet facilities available, and a play area for the children. Sellers 5 pounds in advance, or 6 pounds on the day. Buyers 1 pound per car or 40p per walk-in. 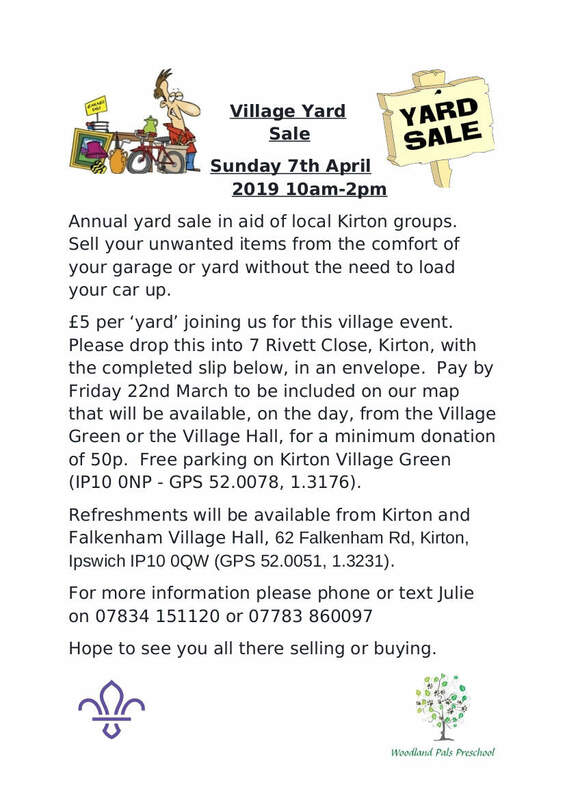 Annual yard sale in aid of local Kirton groups. Refreshments available at the Village Hall. Our annual Car Boot sale is on the 20th May this year! 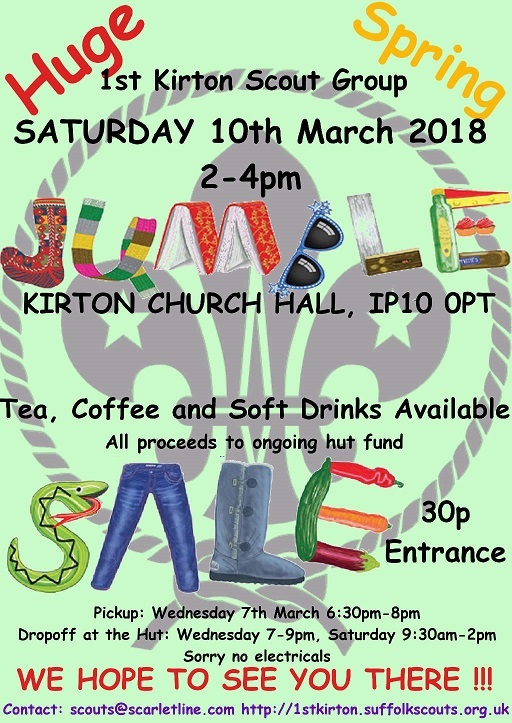 Food and drinks available on the day. 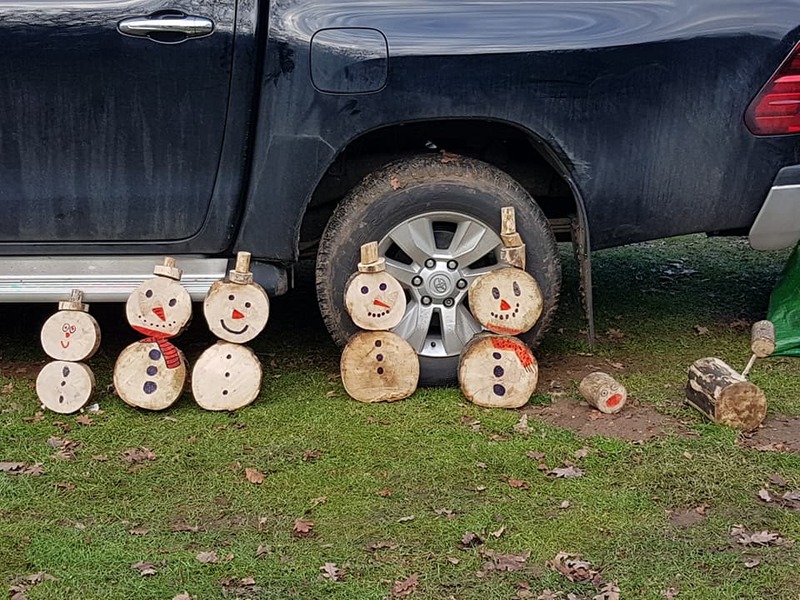 Did they wanna build a snowman? 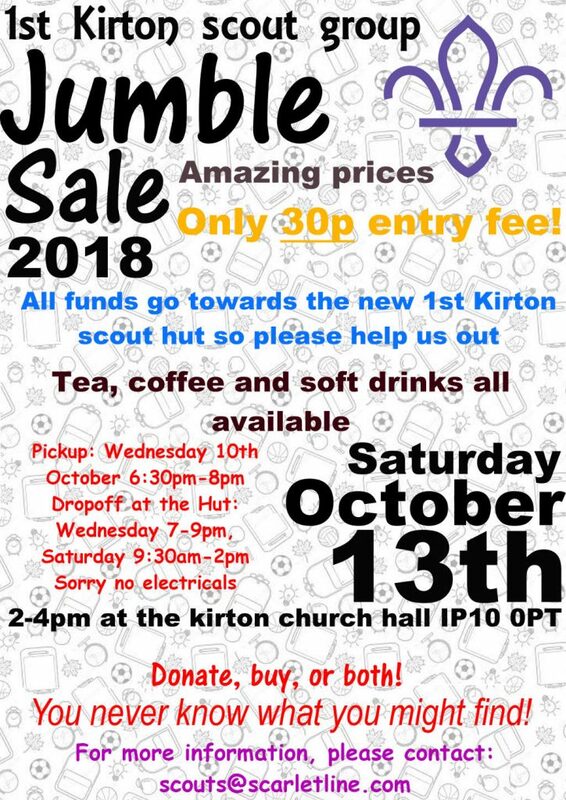 The next jumble sales coming up soon!! 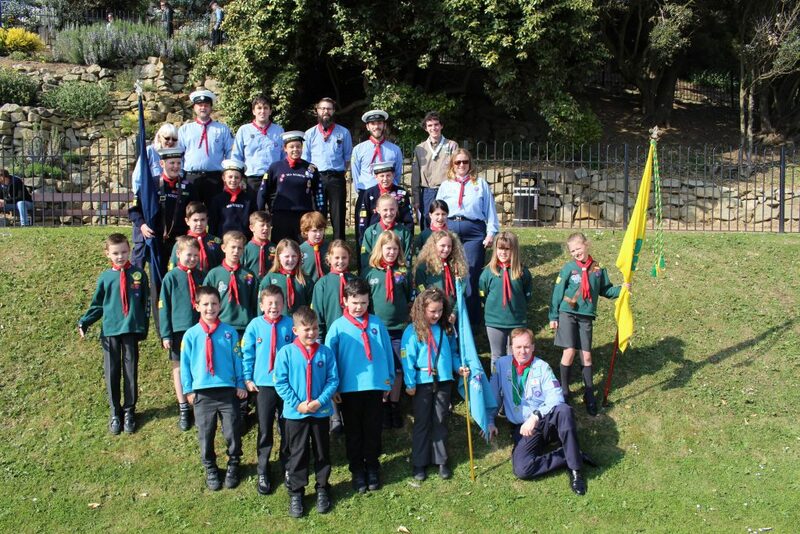 We had a good turn out this year for St Georges Day and great weather too. 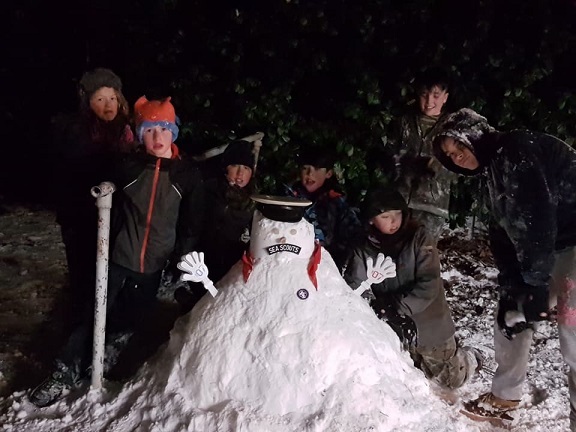 © 2012 1st Scout Group. All Rights Reserved. Template © 2012 Computer LogicX Ltd.